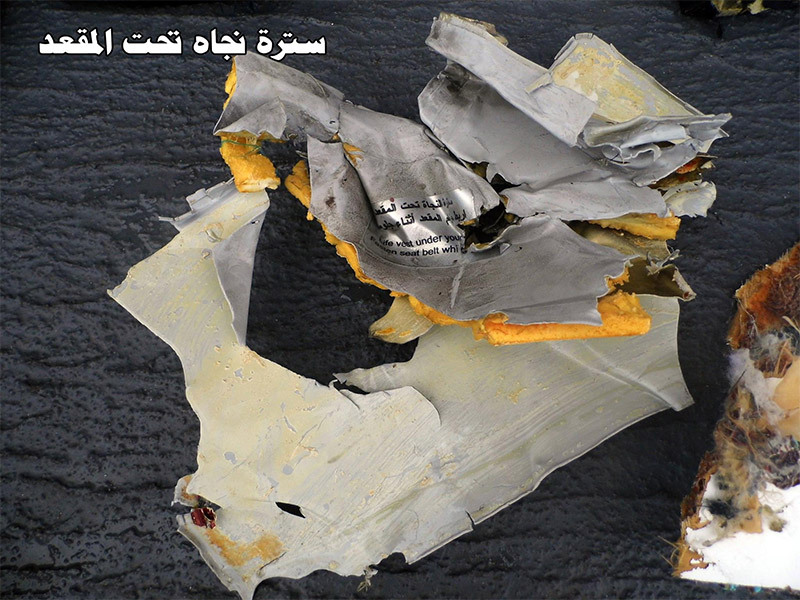 First photos from the recovered debris. I've been away from this thread. Does this model Bus have an auto emergency descent capability. I know I saw this asked in this thread, but have not seen an answer. Also in this thread, someone asked about inadvertent thrust reverser deployment. I know it is a different model aircraft, but the Lauda 004 incident comes to mind. There is still controversy about whether a high speed deployment would be survivable. Finally, had anyone stepped up to claim responsibility for this accident? a professional pilot who has never once read a maintenance or troubleshooting manual? or a mechanic who deals with these messages every day? I think some clarity would be needed in order to place some weight and accuracy on the comment. So is it possible that this sensor was somehow disabled or maybe its protocol to transmit the warning to ACARS was not in the time available? Indeed, it's something one or two ex- airline media sources have mentioned as one possibility (and was mentioned in # 407 ....), but even they were raising the same concerns you have about the seeming lack of a concurrent "cabin altitude" ACARS message (or similar). @Walnut, there was a post earlier of the computer screen with the ACARS messages. http://www.pprune.org/rumours-news/5...ml#post9383206 One of the columns had a Priority level. Some of these messages were low & some higher. Also they were over several minutes. The "Smoke Lavatory Smoke" Message had occurred before... since the 18th May 2016 @ 21:09.... The date & time start is set at top of picture. EDIT: Looks like it was the same flight....this ACARS report shows only from engine start. What does each block indicate in the occurrence history, I assume some sort of time period or engine start? 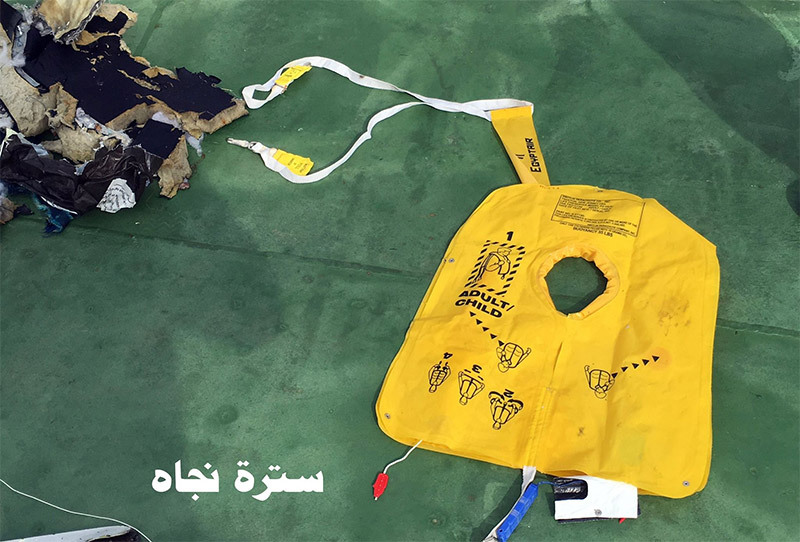 "Smoke and fire broke out on board EgyptAir flight MS804 minutes before the plane plunged off radar screens during the early hours of Thursday morning. "There was a fire on board," aviation expert Tim van Beveren told DW. "The system sent very clear messages. There was lavatory smoke detected. 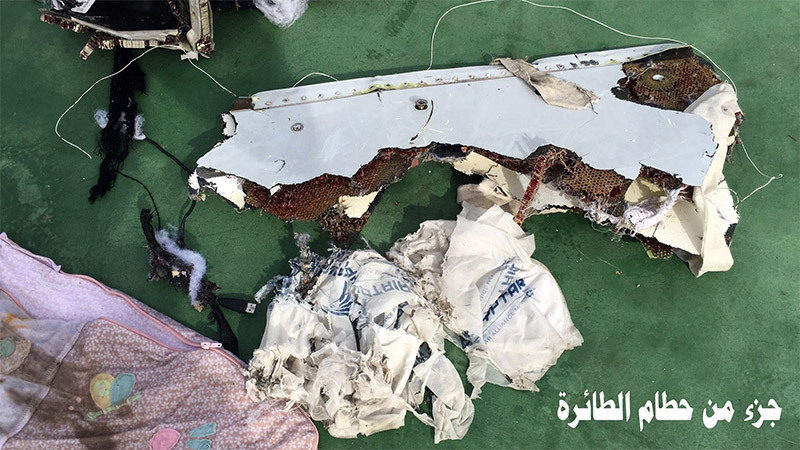 A minute later, avionics compartment smoke detected...Two minutes later, the flight control units are failing."" Just bear in mind that because you receive a "Lavatory Smoke Message" and an "Avionics Smoke Message" doesn't mean a fire started in either of these places. exactly. The lavatory message may even relate to a lav at the rear. A report on a cargo hold fire from a number of years ago included a systematic investigation of different types of smoke and fire sensors performances. Not only on fire and smoke, but also on multiple possible causes for spurious warnings. One of the conclusions was that one type/class of sensors was inaccurate. And its replacement by another type strongly recommended. Pity i dont remember the exact case at the moment. Perhaps someone else does. As far as i can recall the inaccurate type was sensitive to particles other than smoke and fire related ones. may have been a visual/optical kind of sensor. 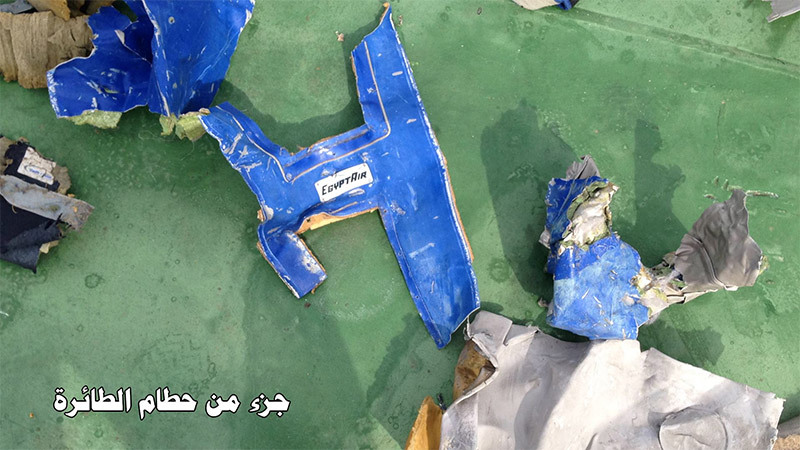 Decompression was one of the causes of stirring up dust particles in the cargo hold causing these sensors to go off. And the better types being InfraRed IR (heat source). So in cases like these you would have to know the specific type of sensors before you are able to understand what triggered the sensor, which triggers the warning message, and in what kind of priority, to what kind of warning system. This requires both correct aircraft configuration information and knowledgeable system and data interpretation. Another issue which became clear from the report is how difficult it can be for pilots and crew to distinguish between smell, smoke, fire. Especially when the source area is not directly visible or accessible. And combined with other cases ... Is that with a fire a straight course to any airport is the safest solution, followed by immediate evacuation. These last two lines show how complex such a situation can be for pilots and their decision making. The very fast reaction in this case suggests .... No more than suggests ... Directly observable smoke or fire. Cause of that smoke or fire unknown. By the phrase "oddball" I simply meant that there's nothing that stands out; no obvious smoking gun as it were. With the possible exception of the avionics bay smoke perhaps... but as other have pointed out there are multiple possible causes for that message. The significance (to me) is nothing more than 1. there are ACARS messages and 2. the messages don't contain anything catastrophic. I'm not reading anything more into it than that. Condition: Smoke or fire is detected in a lavatory. WARNING: If the smoke becomes so dense or toxic that it becomes the more immediate emergency, accomplish the Dense Smoke/Fuel Vapor checklist. The Cabin attendants would be the first to know of lav smoke via CIDS generated audio and visual warnings. On our aircraft three low chimes are generated throughout the cabin. The amber section of the attendant call panel nearest the affected lav will flash. Finally the attendant information panel will read on the top line, "SMOKE LAVATORY" and on the second line "A,D or F" to indicate which lavatory detector is signaling smoke. Granted our Air Buses are dated, so newer models may have somewhat different indications. Finally the lavatory exhaust fans run anytime power is on the aircraft and exhaust through the outflow valve. I take it the avionics smoke detector will detect smoke vented from the cockpit which would suggest a window heating element on the right side could be the cause. No A/P off msg generated ? Some aircraft initiate an emergency descent when certain events are sensed. I don't know if this plane, or any of the newer Boeings or Buses are so equipped. As an example, the Gulfstream 450-650 models automatically initiate an emergency descent to 15,000 and slow there to 250kts if a cabin depressurization occurs at altitude. It also changes heading by 90 degrees. This happens provided the A/P and the auto-throttles are on. I think your all reading too much into these messages. Just because the message was generated doesn't mean the situation actually occurred. Also the unrelated nature of the messages points to a different explanation to me. The Citation X and XLS have it also. "... the Lauda 004 incident comes to mind. There is still controversy about whether a high speed deployment would be survivable"
Apparently not, according to Boeing and the final report, at least not at cruise altitude. Certification tests showed it should be controllable but they were made at lower altitude. When Boeing flew the Lauda scenario in the simulator the loss of control was so rapid that there was no possibility of catching it in time. Having had a rapid decompression at FL330 on an L1011 I can tell you from my own experience that there was no white mist just a loud 'woomph' sound and that, with a check on the cabin altitude, was enough to prompt us to don oxygen masks and start an emergency descent. The cause was the failure of the rear negative pressure relief valve which is some 80 cm in diameter which had a total failue around its perimeter.